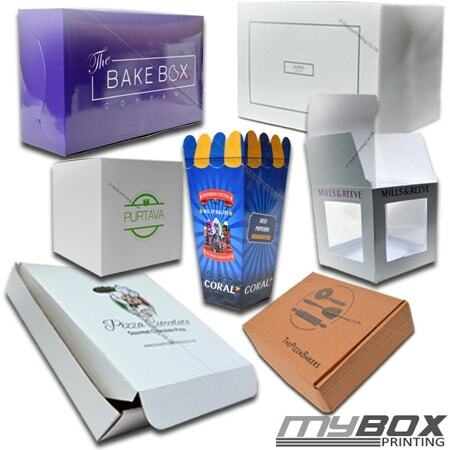 Here at My Box printing, you can order various type of food packaging boxes, bags, containers and cartons. After you custom design them from us, your message, logos will be printed on it making it an exceptional gift for customers, shops, wholesalers or stalls. Different food safe shapes, sizes, colours, quality and finishing is available with order quantity up to 50,000 is available to be delivered in less than 15 days. Our major buyers are takeaway owners, cupcake or bakery boxes providers, pizza makers, and food supply companies. Whether it is bakery, deli, pizza, chicken and chips, fish shops, Indian takeaway boxes or Chinese takeaway packaging boxes, we deal with all business to provide high quality custom food bags, boxes, containers and foil boxes. Email us now for best price and fast delivery with custom printing on it. Absolutely loved it ! The colours and cardboard material is so nice. Our client is so impressed. We requested for 1200 custom cardboard packaging boxes for special cake and sandwich, the locking system, full colour printing, lamination and cardboard thickness is perfect. We will definitely go for it again.